Onto Look 3 of our Milan Fashion Week round up and it's all about florals. Bright, brash and bold floral prints adorned almost every surface in the Italian fashion capital. First up, florals came in all forms at the Marni show - from perspex poppies on micro minis to all out 60s neon prints. Somehow it works - but I do worry if I was to try and copy on the latter I'd end up looking like my grandmother in drag. 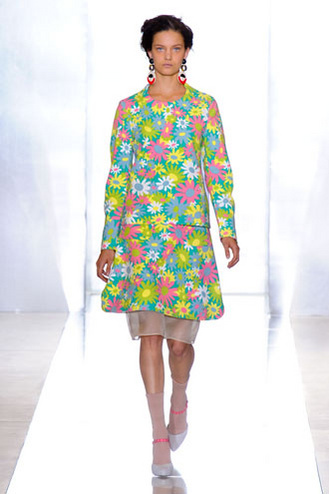 I love the way the house have shown that you can either use look as a side piece with a simple top, or go all out and postively bathe in brightly coloured flowers. 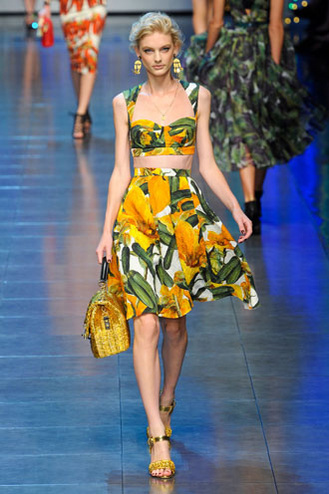 Hardly surprising that Dolce and Gabbana were all over this look - where there is bright and patterned, there is D&G. They went one stage further and instead of florals and fruits, they put bold vegetable prints all over the pieces - onions, aubergines, tomatoes, chilli peppers and even the ever chic courgette cropping up on of the shoulder, full skirted dresses, pencil skirts worn with off the shoulder, cropped peasant tops and 1950s knickers and frilled bras. 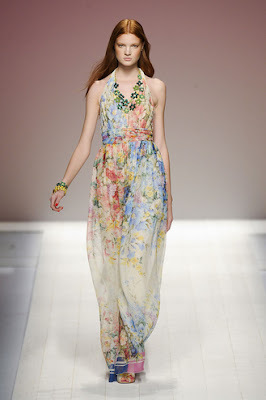 Blugirl went for all out romance with floaty fabrics and pastelled tones alongside their florals. 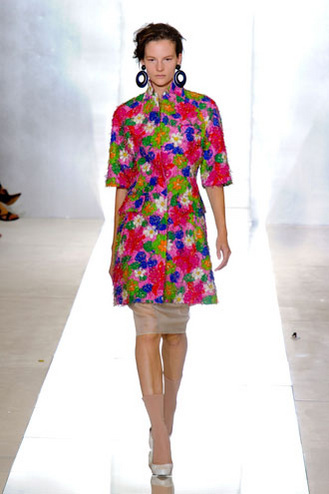 Hints of SS11 Erdem in this collection - in fact, it could be argued he started this look... a year ago. 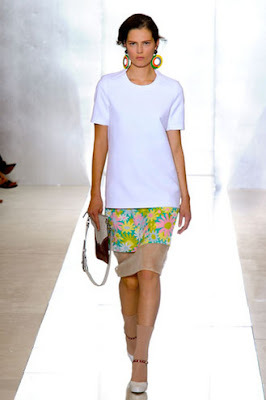 Check out our other fashion reviews from New York, London, Milan and Paris here. Love these florals, especially at Dolce & Gabbana ~ such a fun collection! Lovely florals! 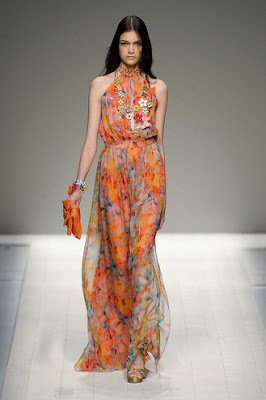 love all the brights!